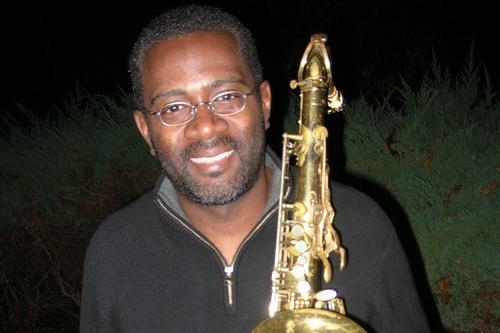 Saxophonist, arranger and vocalist Lance Bryant performs in the New York/New Jersey area. When Lance is not performing his own music he is touring with revered South African pianist, Abdullah Ibrahim, performing and recording as saxophonist with fellow New York area players, teaching and writing commissioned arrangements for other artists and bands. Lance comes out of Markham, Illinois, a small town near Chicago. He received his formal music education at Berklee College of Music in Boston, MA, where he studied saxophone, composition and arranging. After moving to New York City in the mid. 1980s, Lance continued his education, studying saxophone and arranging privately with Frank Foster, the former director of the Count Basie Orchestra. He also studied composition with Bruce Adolphe of Lincoln Center’s Chamber Music Society. In 1990 Lance began his decade-long relationship with the Lionel Hampton Orchestra and in 1993 became the Orchestra's Musical Director and Principal Arranger. Lance also made his film debut in Spike Lee's Malcolm X and traveled extensively with Phyllis Hyman, Jon Hendricks, Pete "LaRocca" Sims, Wallace Roney, Abdulah Ibrahim, Bootsy Collins, James Williams and others. In the early summer of 2000, Lance was selected as an on-stage musician for the Broadway production of the musical review Swing!, which received six Toni nominations. Throughout his music career, Lance's talents as an arranger, composer, saxophonist and vocalist have been featured on many projects like For the Love of Jazz on Mojazz Records (Lionel Hampton), Dem Bones and Simply Natural on MaxJazz Records for Grammy nominated vocalist Carla Cook, Swingin' Away for the George Gee Swing Orchestra, and more recently on drummer Yoron Israel’s latest release, Visions, the Music of Stevie Wonder. As an educator, Lance's recent teaching work has included woodwind instructor for Covenant Christian Academy in Peabody, MA, director of the Phillips Academy Gospel Choir in Andover, MA, and Berklee’s Saxophone Weekend for the Berklee College of Music summer program, where Lance taught master classes, group lessons, jazz theory, improvisation and ensemble. Currently Lance is part of the faculty for the Jazz At Lincoln Center educational department, working with its outreach program for youth throughout New York City. In 2014-15 Lance performed with the Jazz at Lincoln Center Orchestra on the Broadway musical hit After Midnight. Starting in Spring of 2016 he performed in the orchestra of the Broadway production of George C. Wolfe's "Shuffle Along ..." featuring Tony Award winner Audra MacDonald and the choreography of Savion Glover. Besides his Broadway work, Lance continues to perform and teach in the New York and northern New Jersey areas, and touring with pianist Abdullah Ibrahim and occasionally the Count Basie Orchestra.